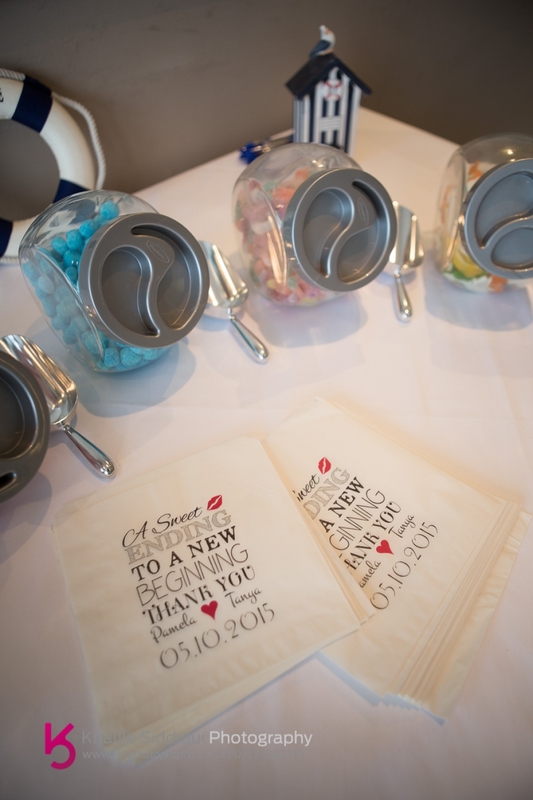 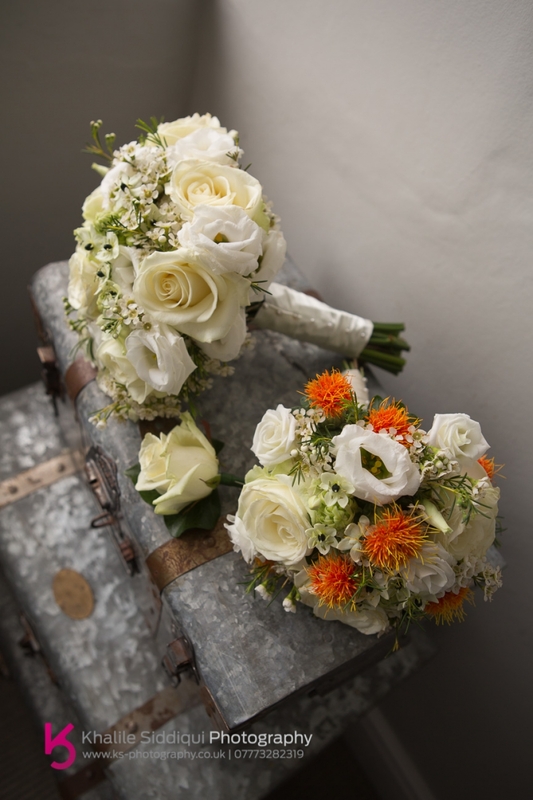 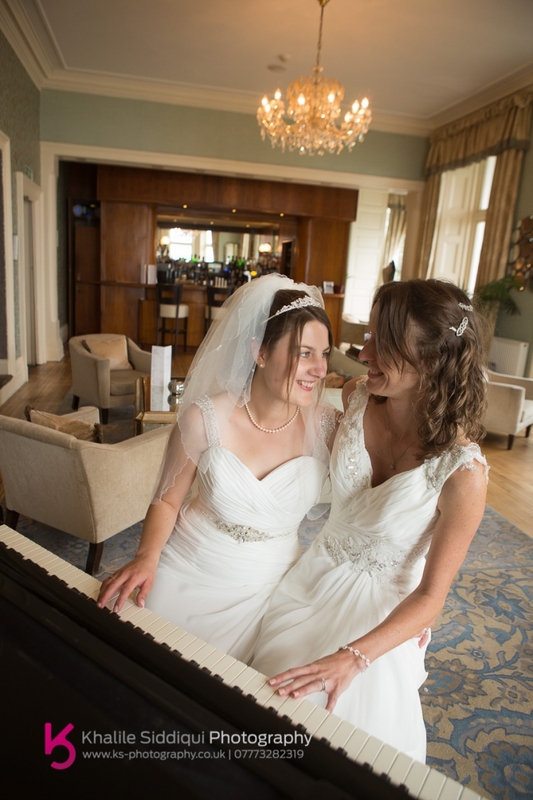 We just wanted to say a big thank you for all you did on our wedding day. 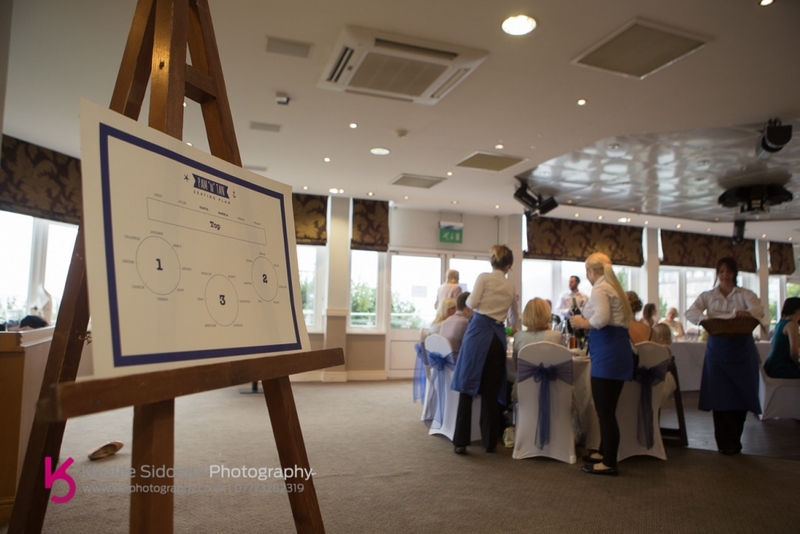 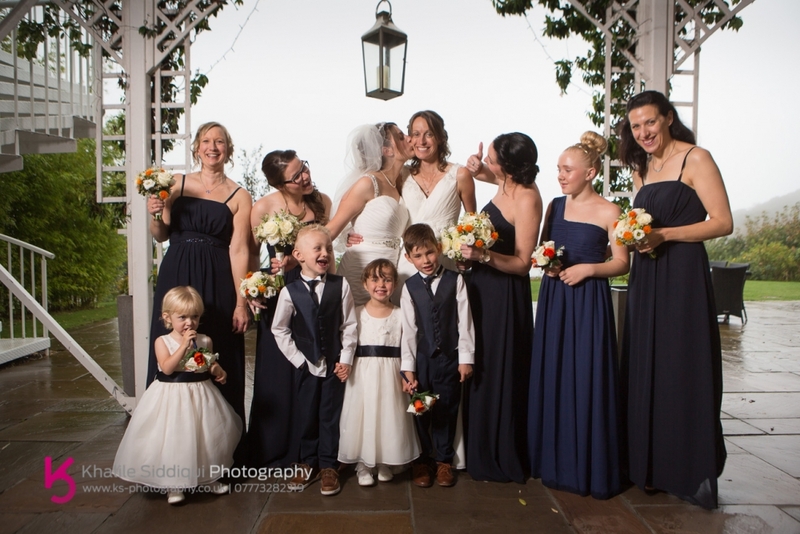 All the guest mentioned how nice you are and how you made them all feel relaxed during the photos. 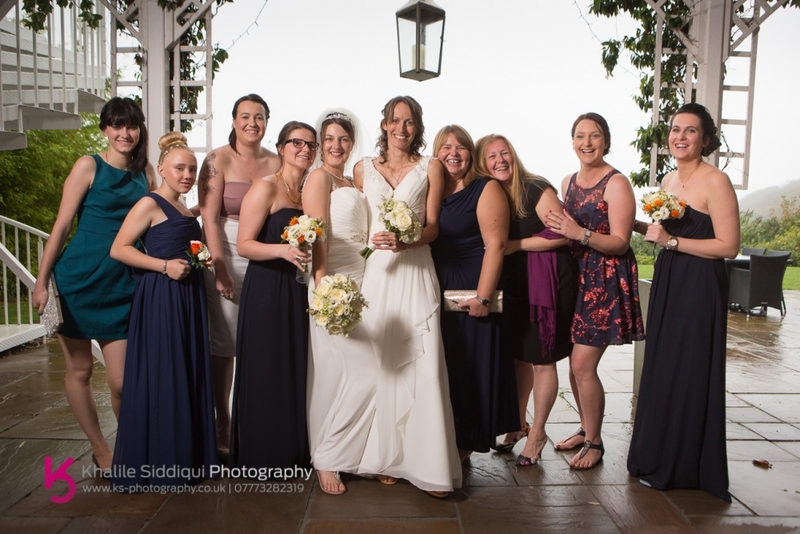 Also they were all very impressed that knew everyone's name. 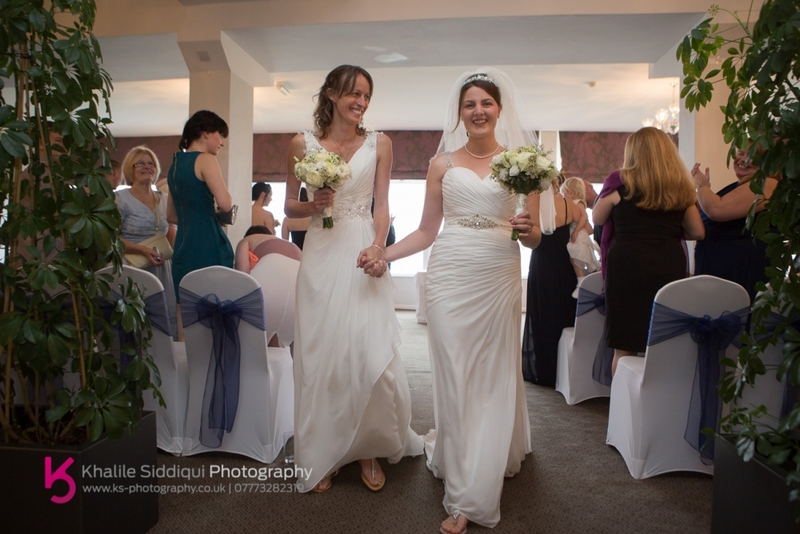 Myself and Tanya had an amazing day and could not have asked for more. 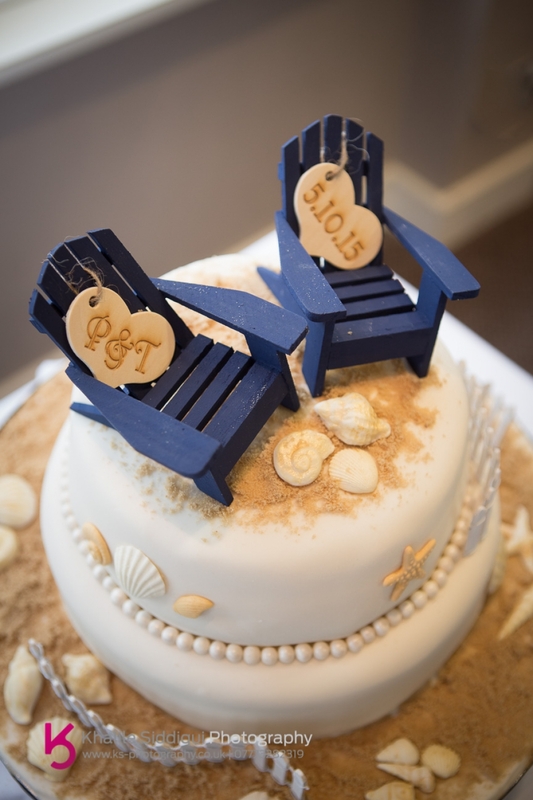 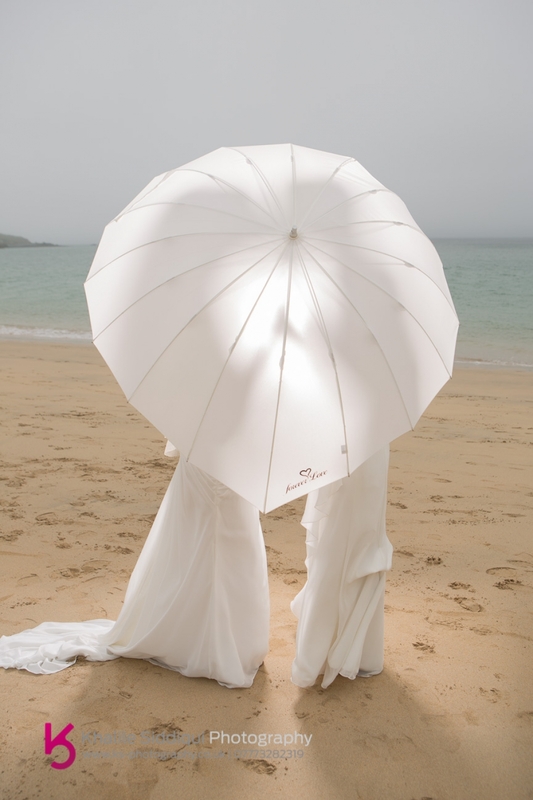 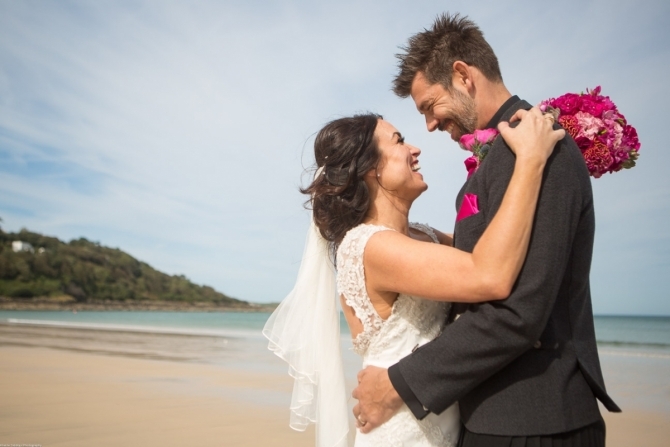 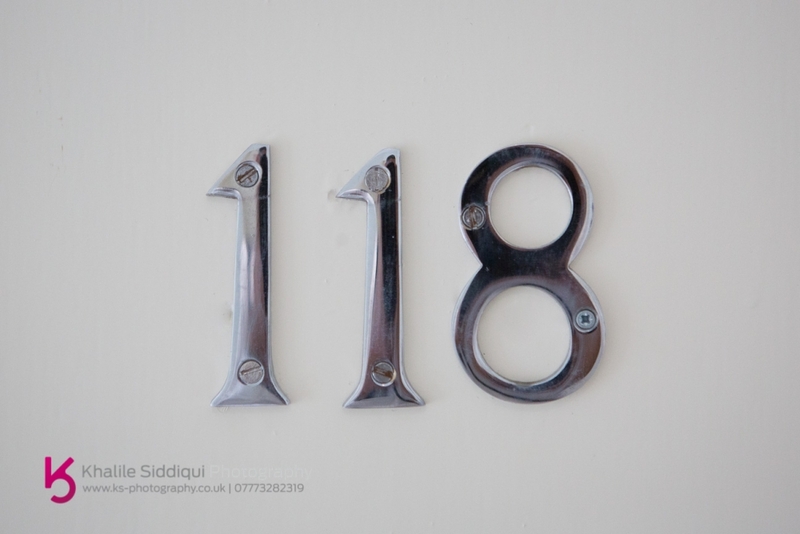 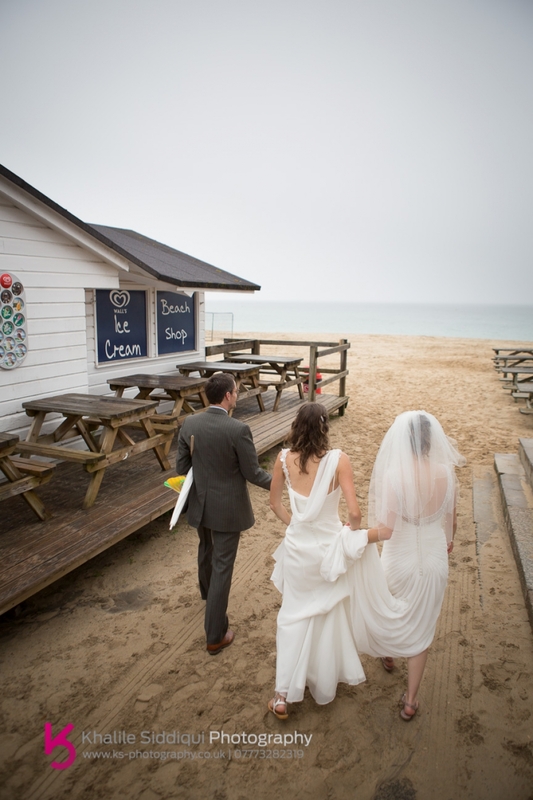 The blog you wrote was lovely and the photos are amazing, the ones on the beach are perfect. 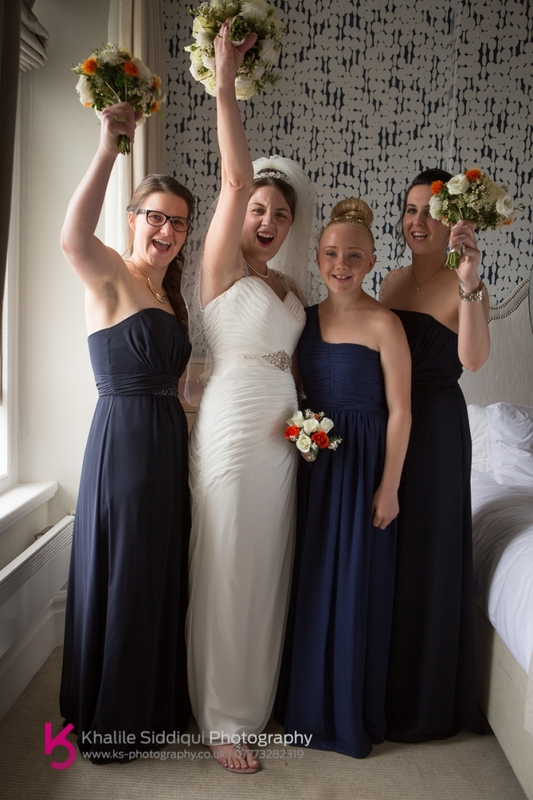 Everyone is so excited to see the rest. 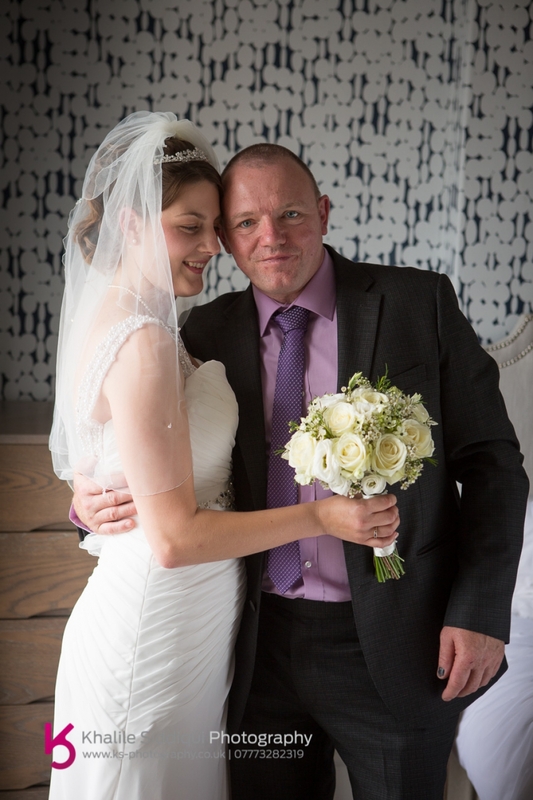 Thank you again and we would defiantly recommend you. 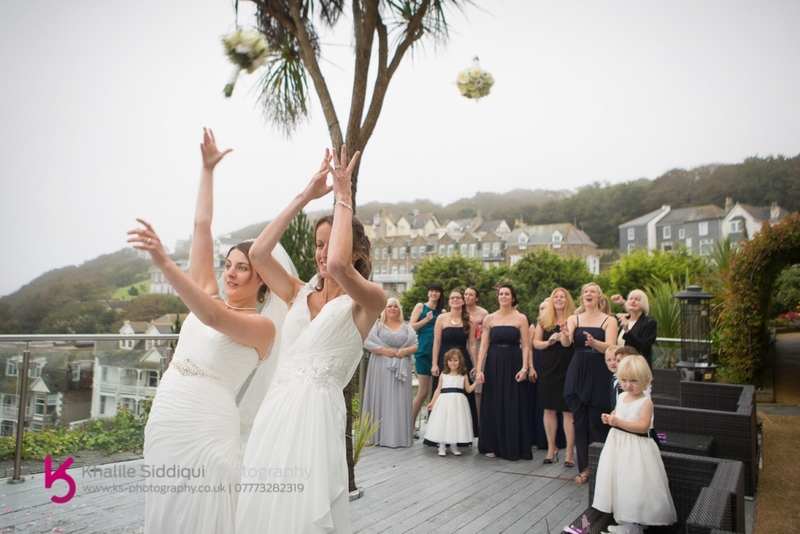 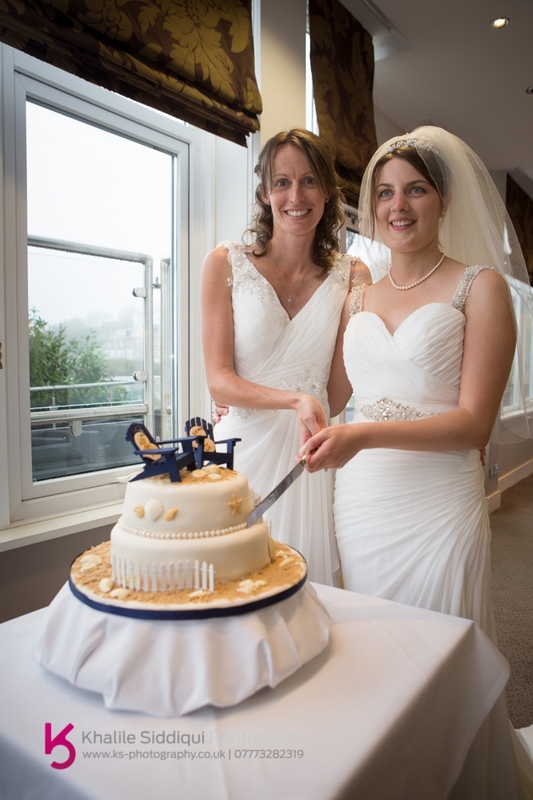 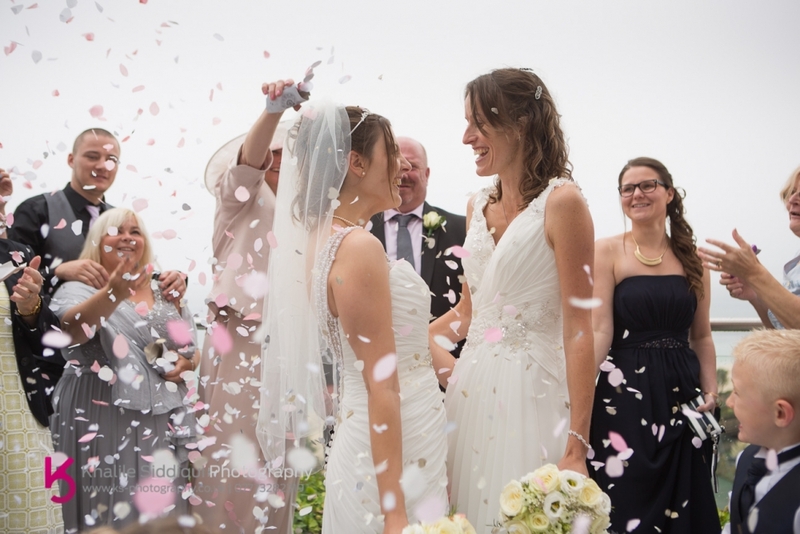 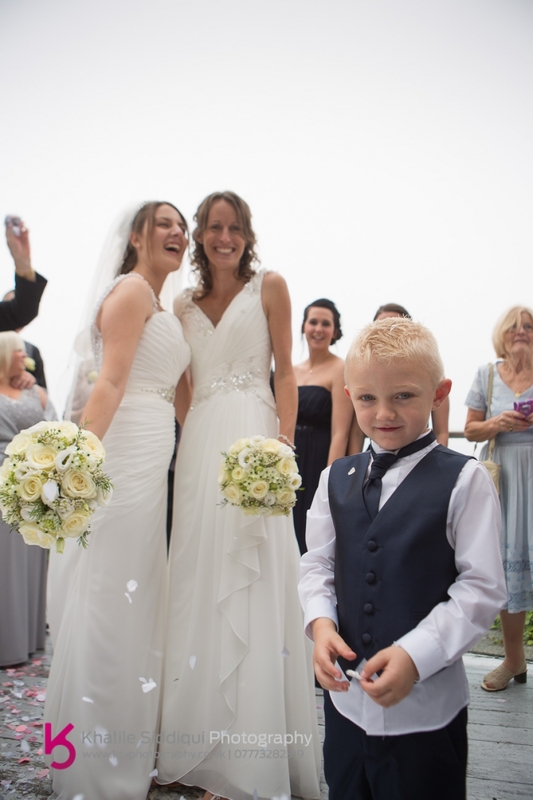 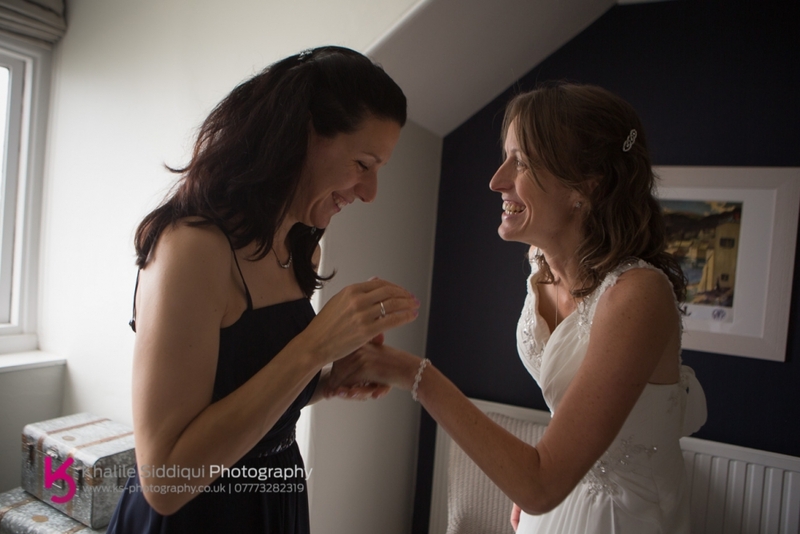 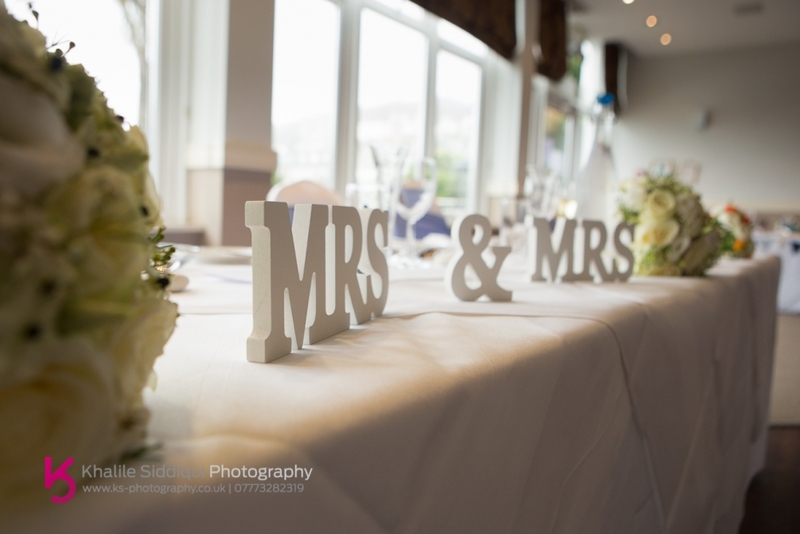 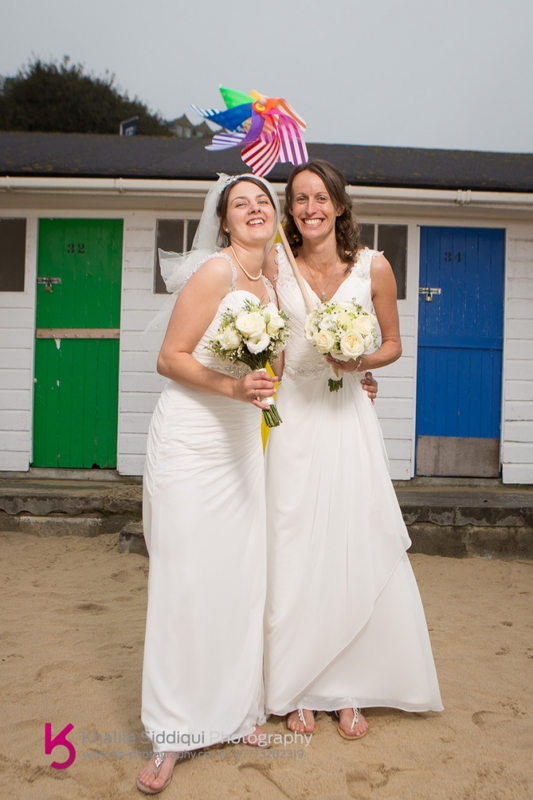 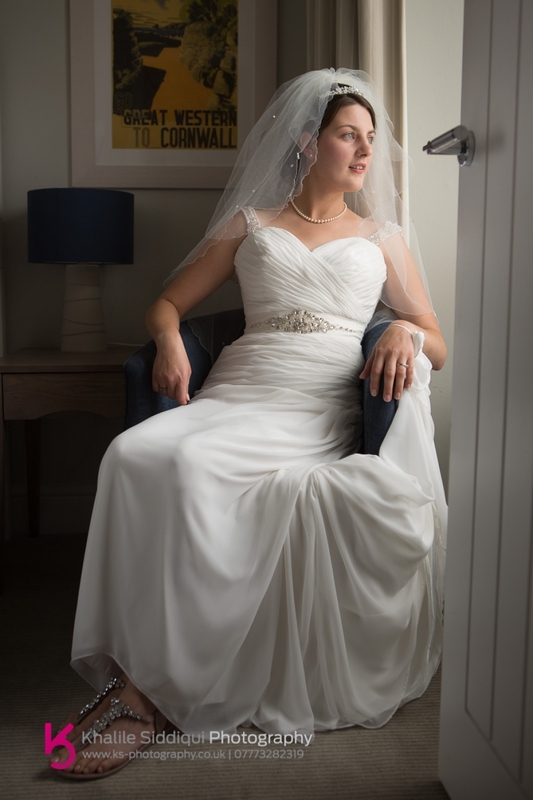 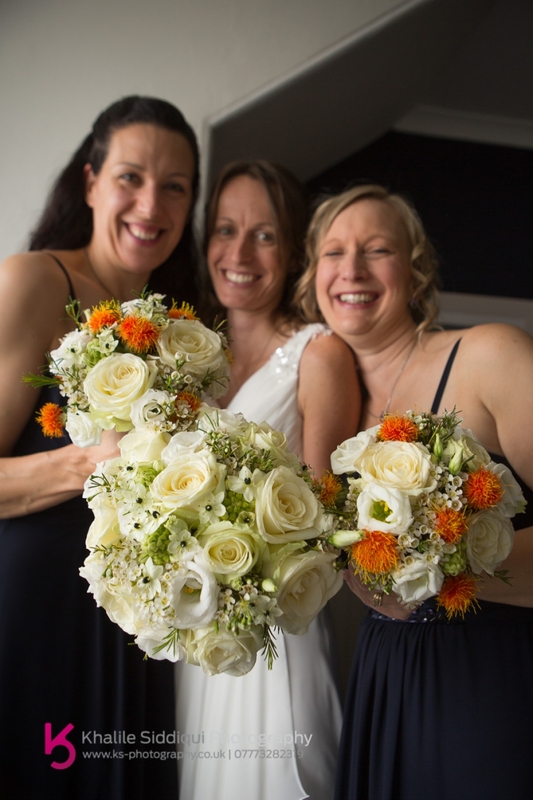 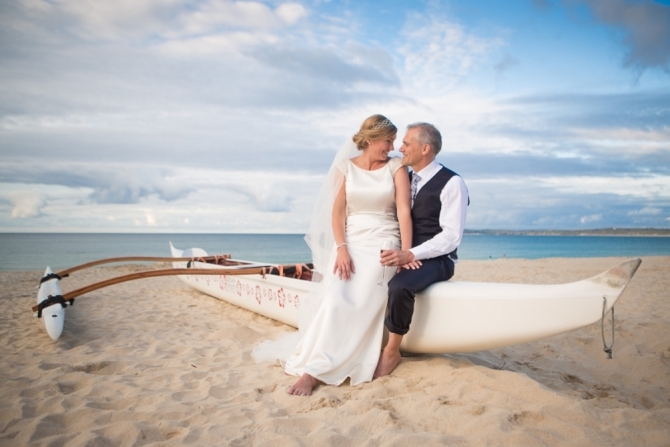 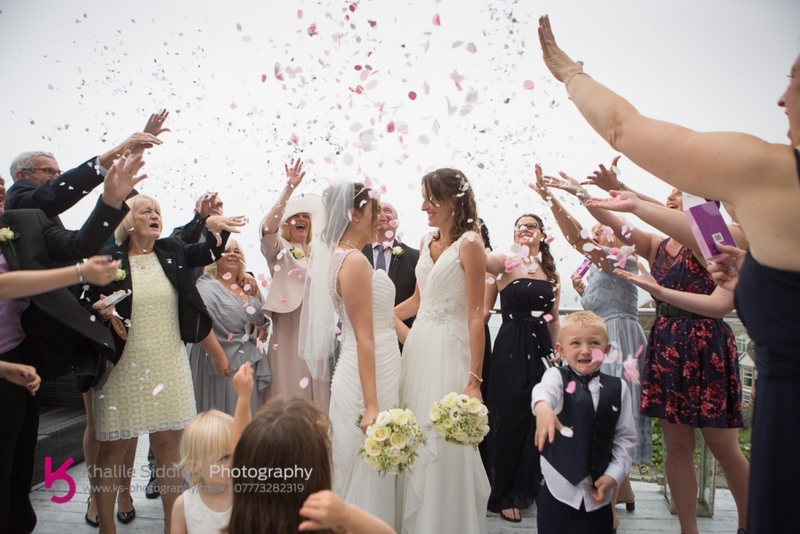 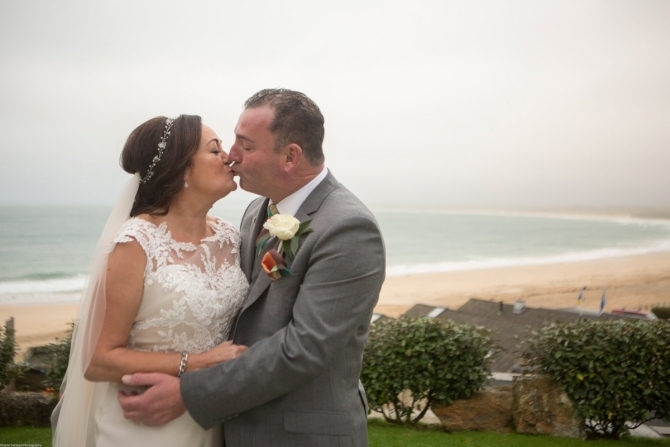 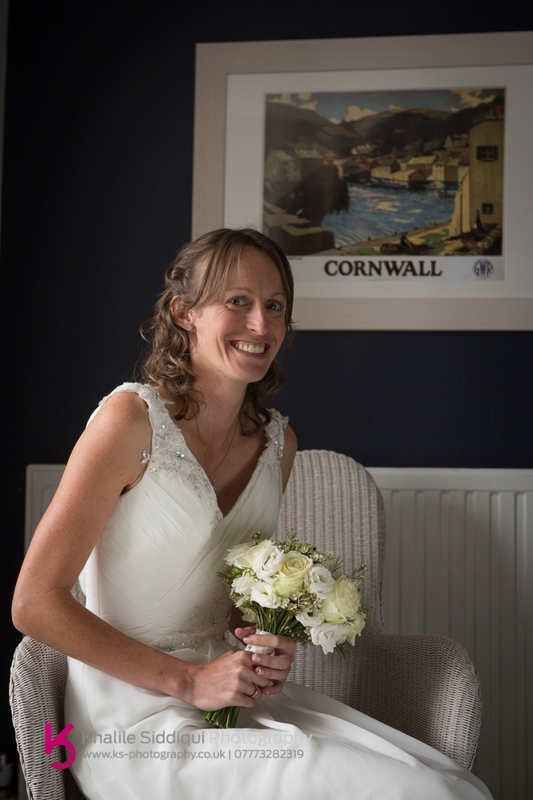 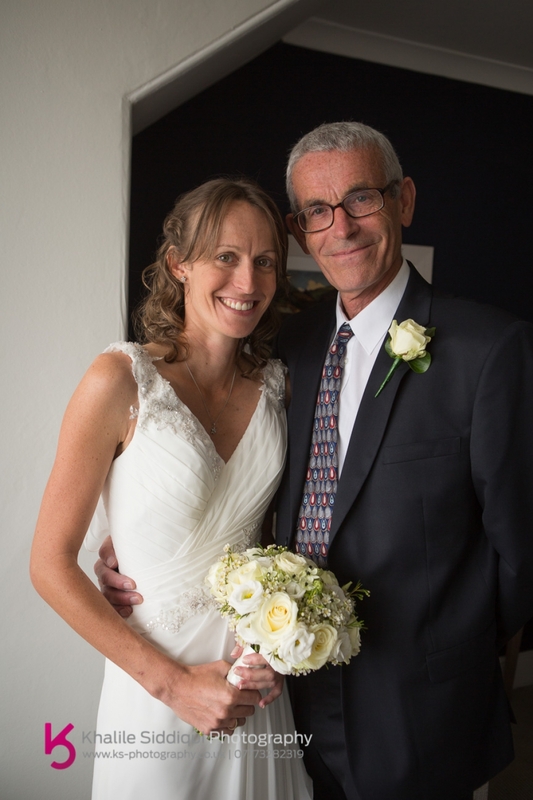 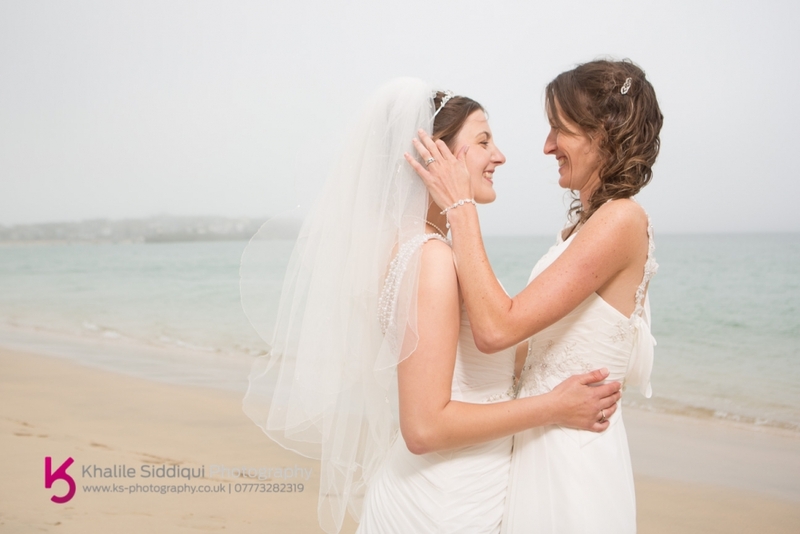 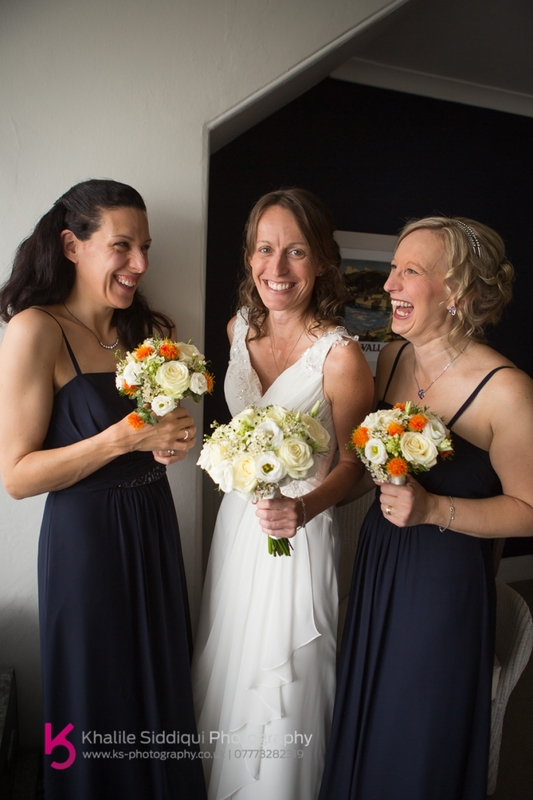 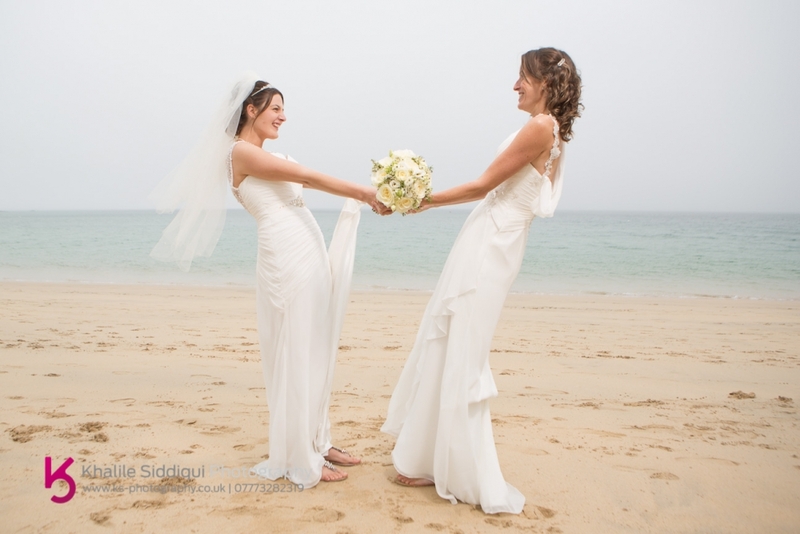 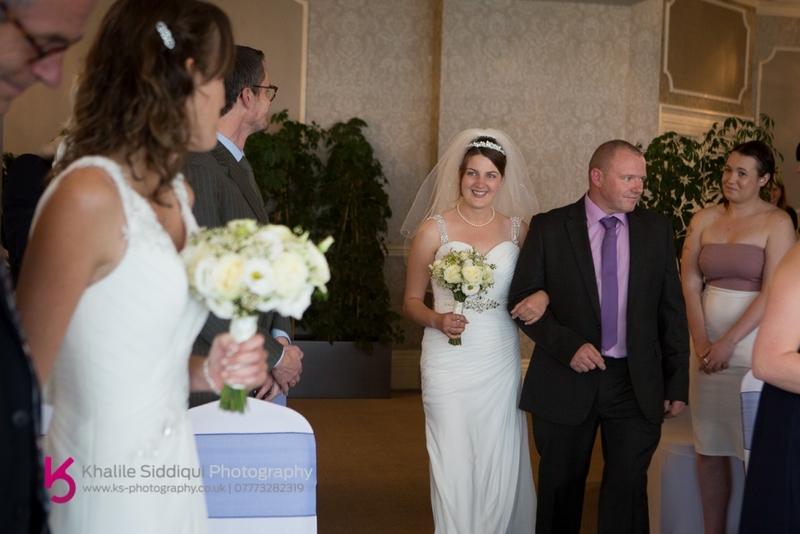 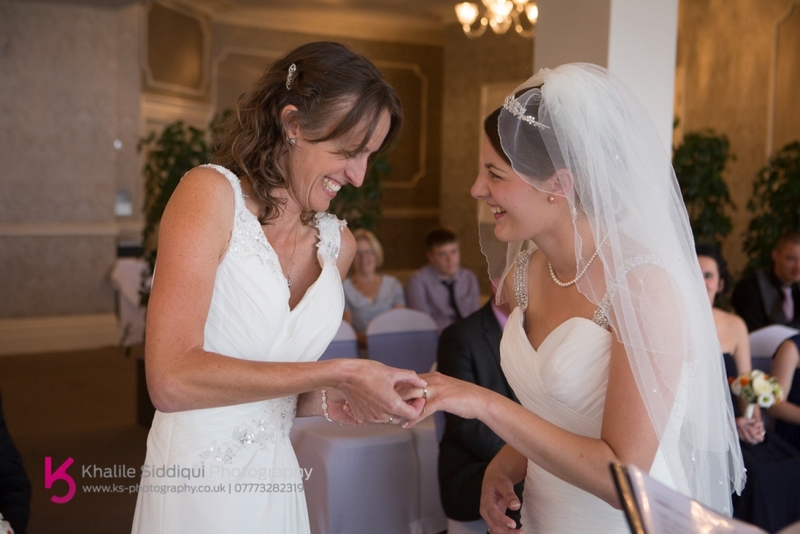 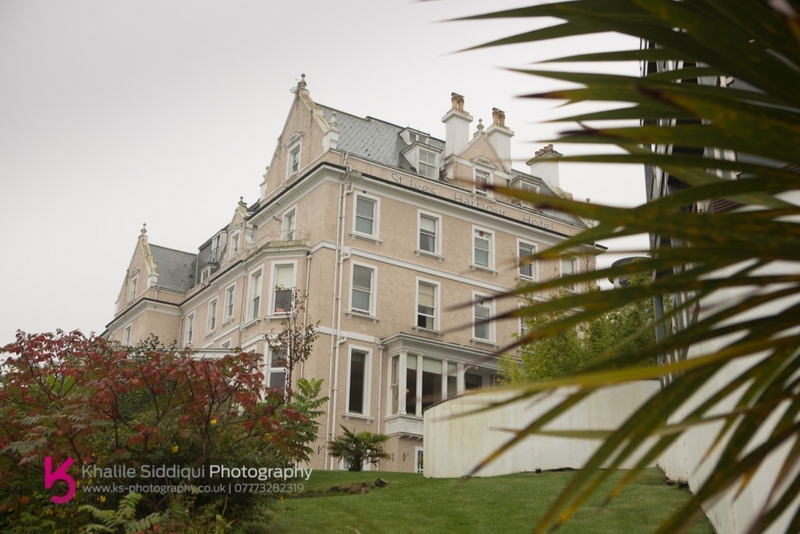 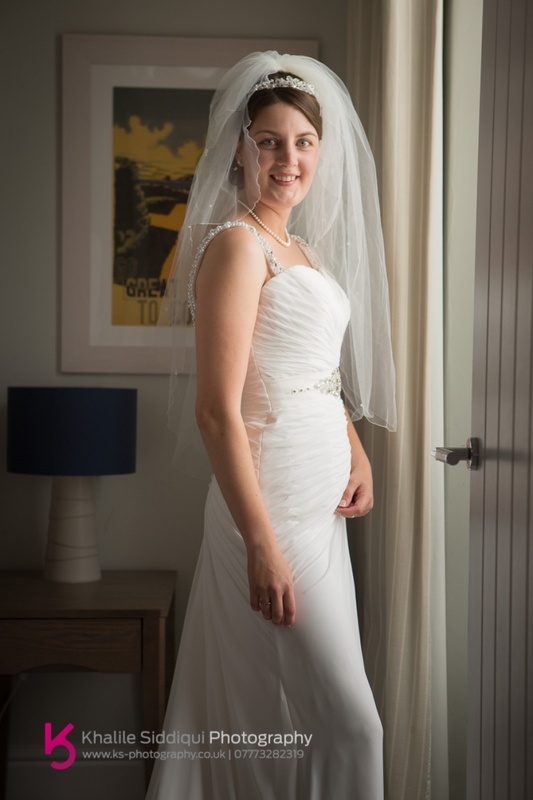 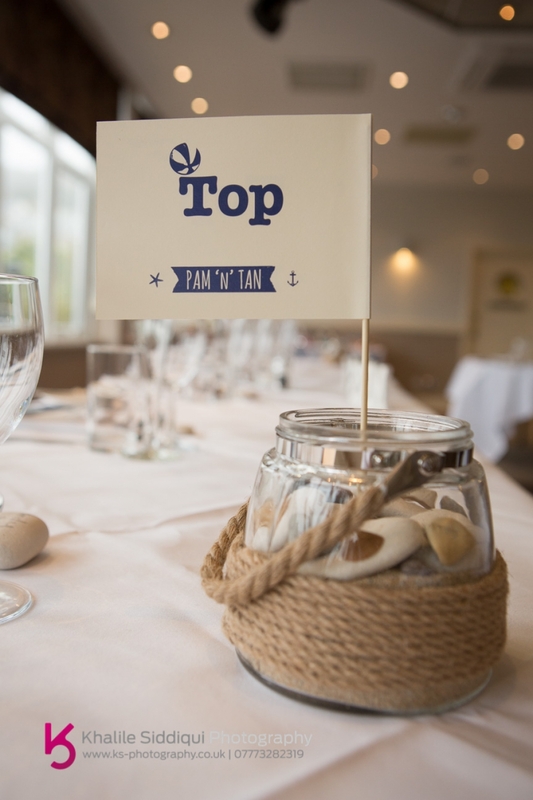 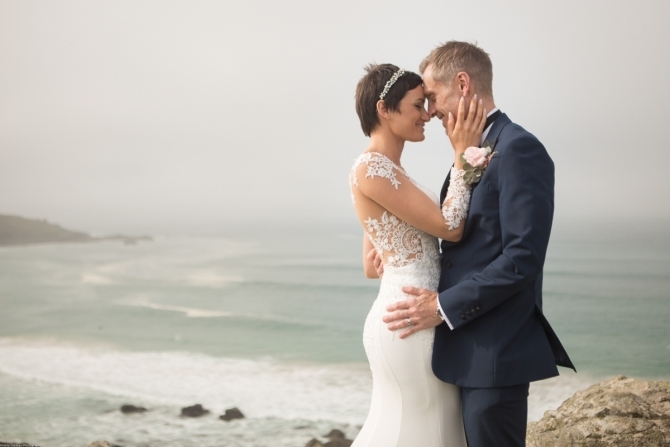 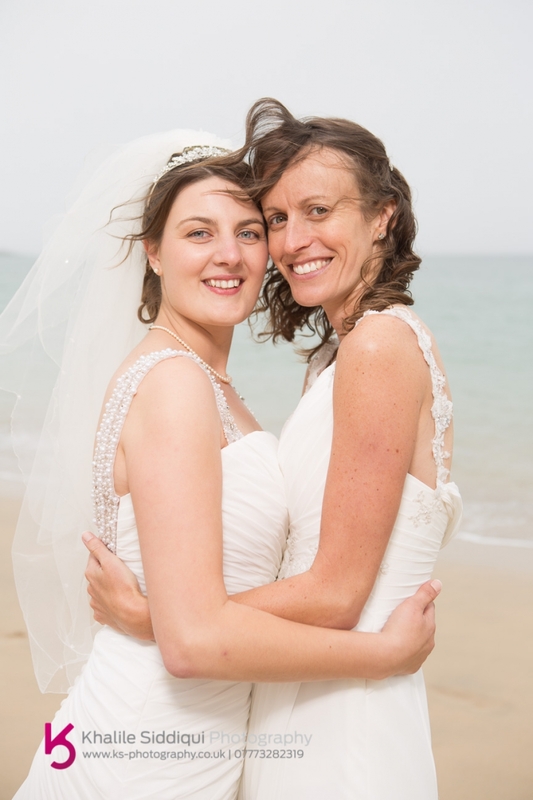 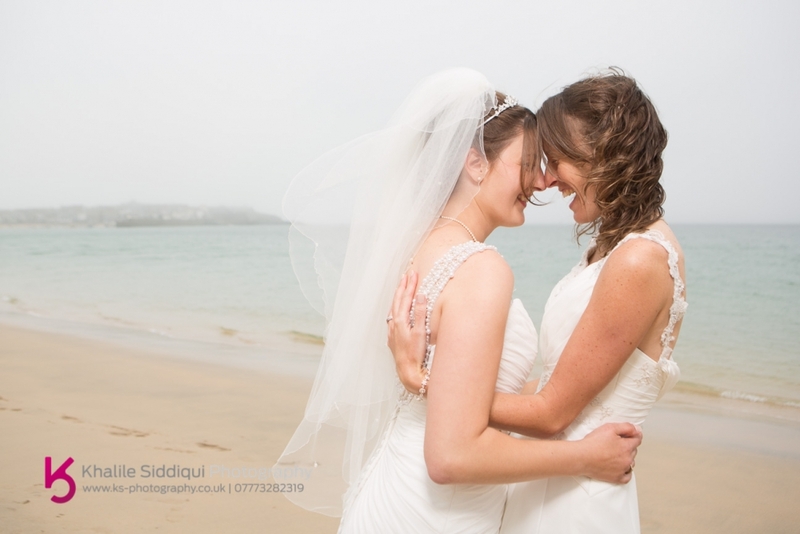 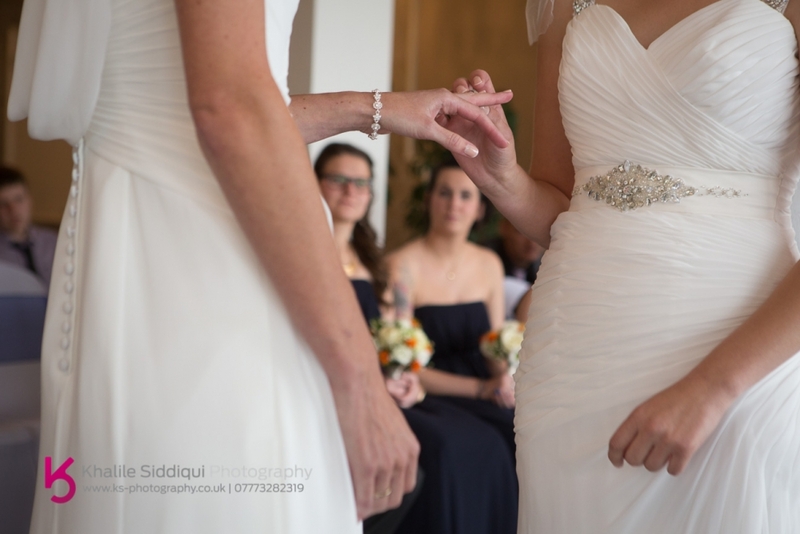 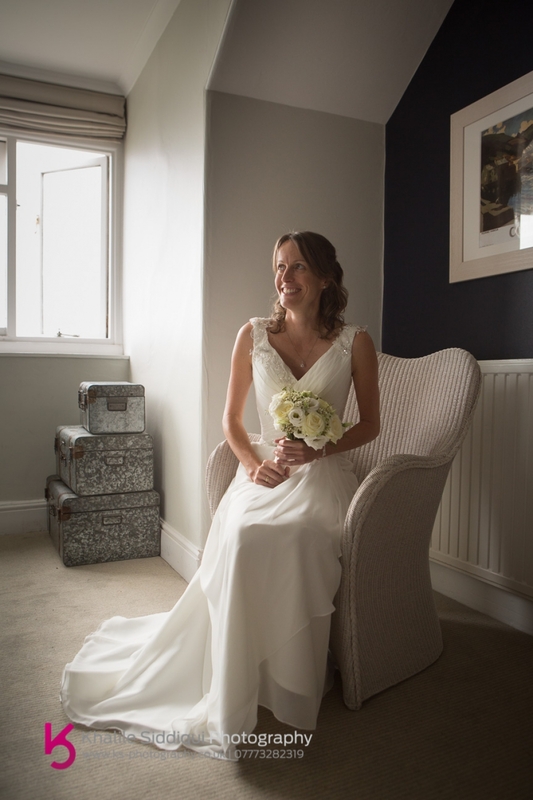 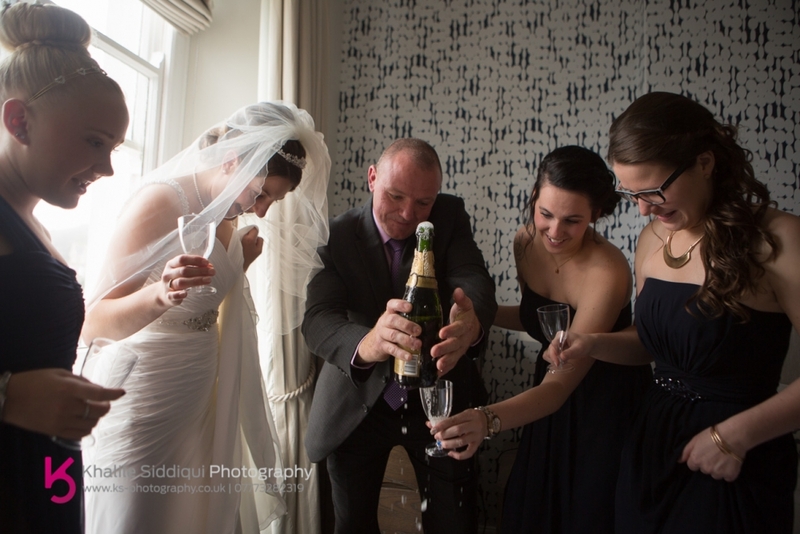 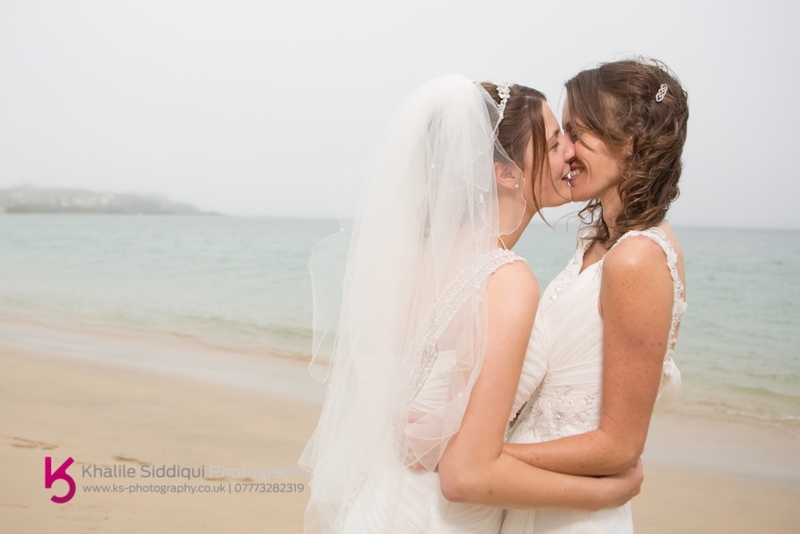 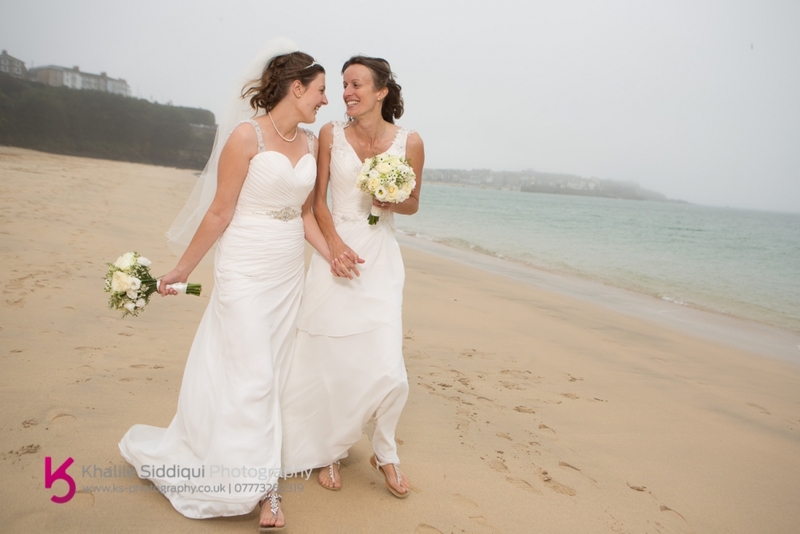 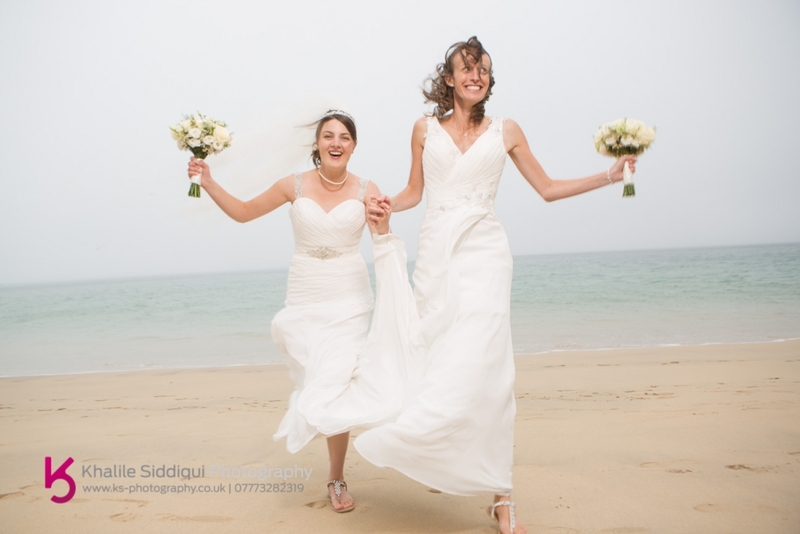 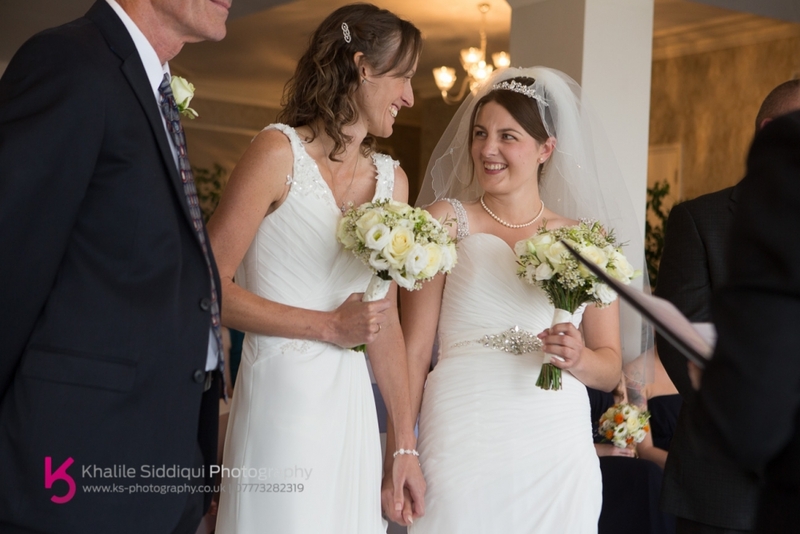 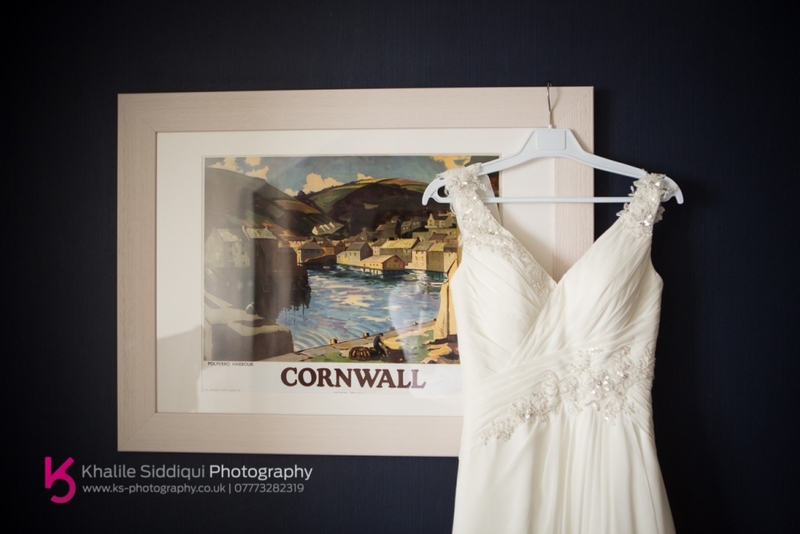 I was SO excited to be shooting Pamela & Tanya's St.Ives Harbour Hotel wedding, and even more so when I found out that they were both wearing a wedding dress, as this was my third ladies civil partnership but the first with both ladies in dresses. 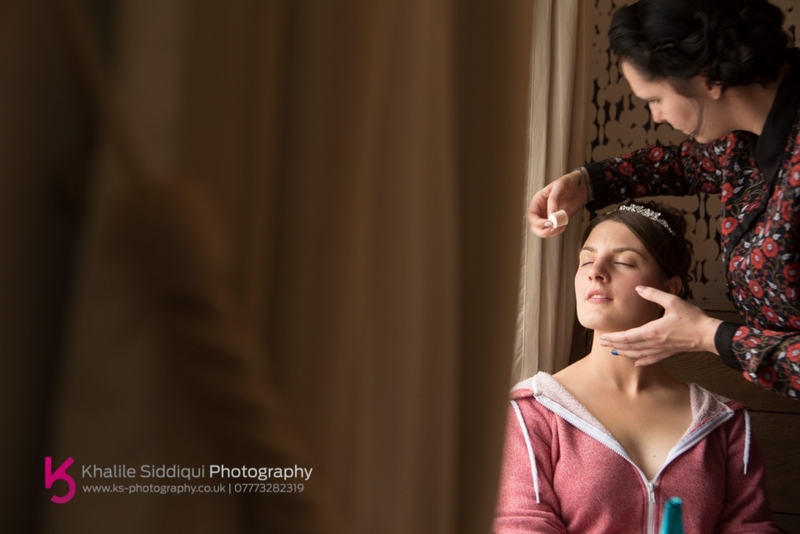 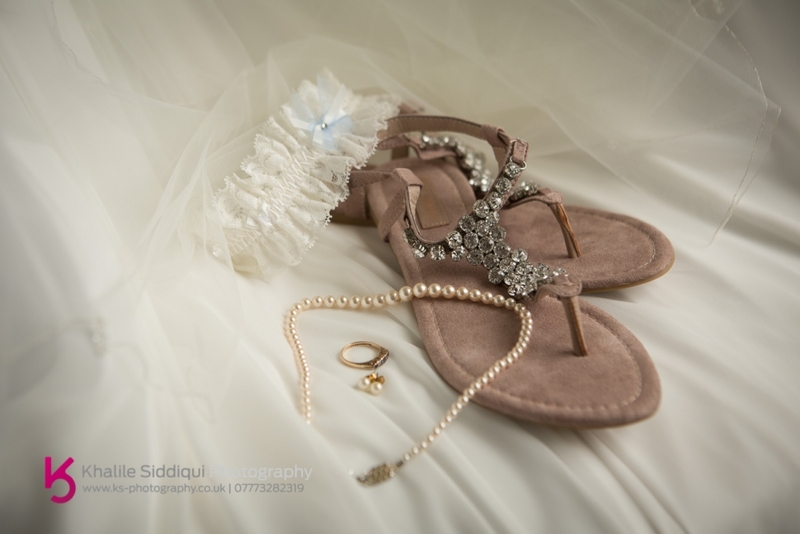 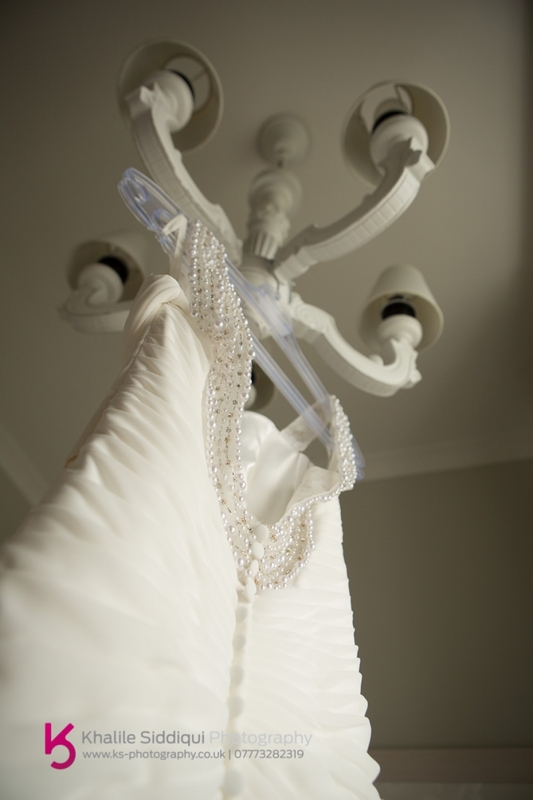 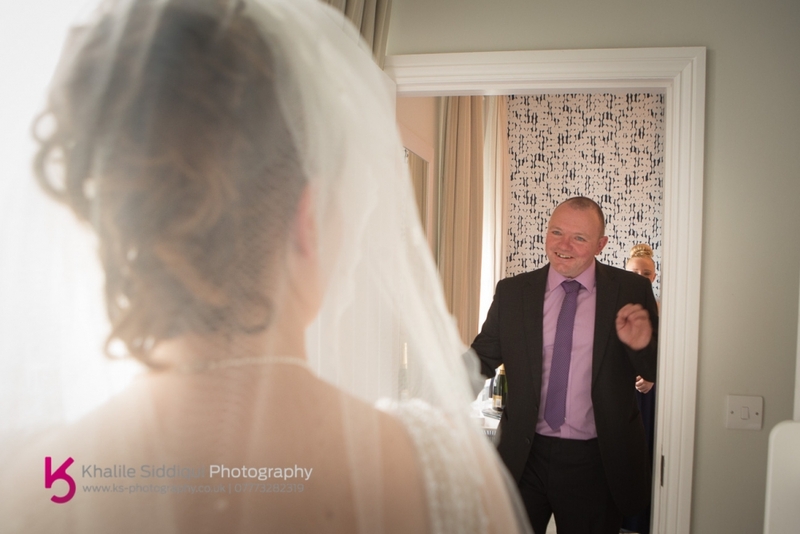 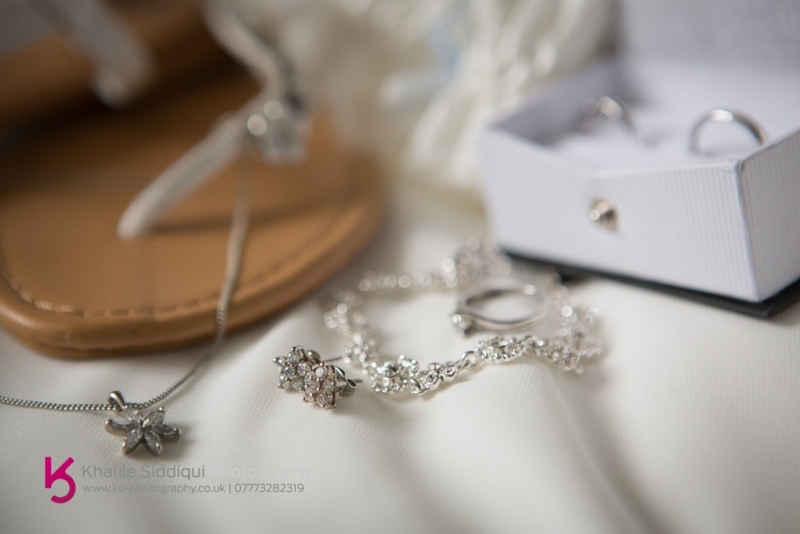 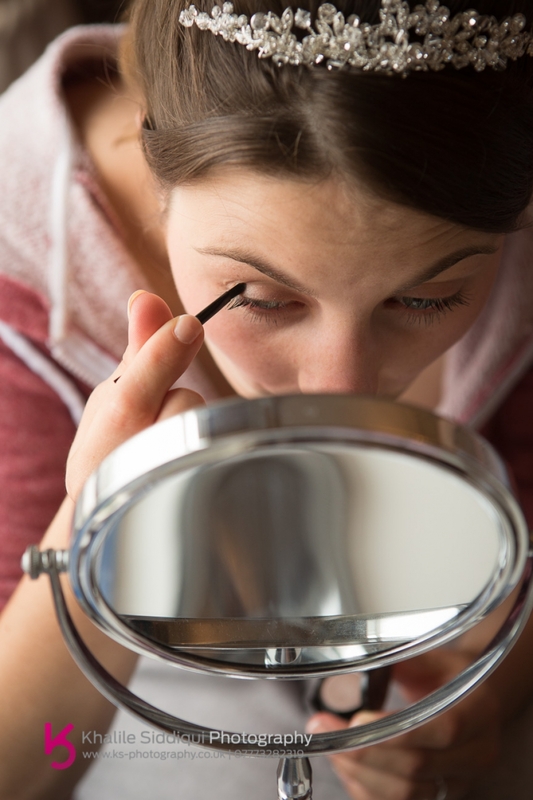 For Pamela and Tanya's wedding I shot it on my own, so for the getting ready shots it involved me being a bit of a butterfly fluttering between team Tanya and team Pamela who were both getting ready in the hotel. 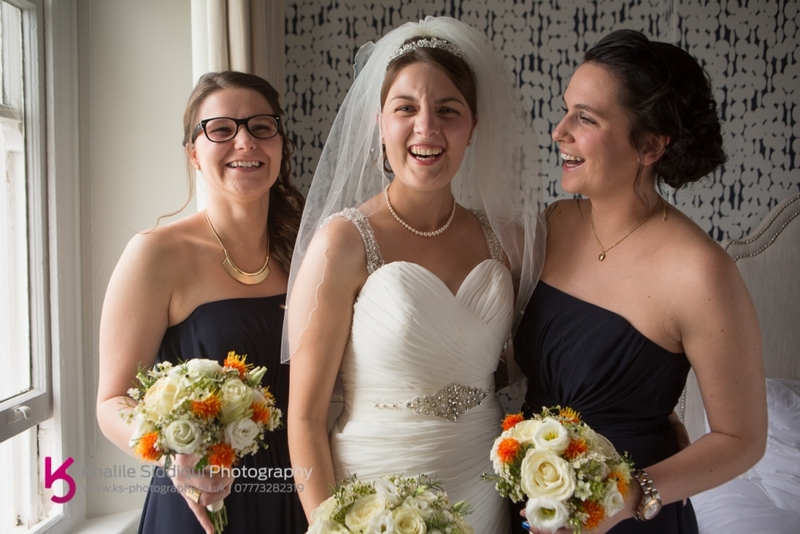 Before the day I was intrigued as to who'd be wearing what type of dress, but Pamela's sister Theresa accompanied both ladies to the bridal boutiques to make sure that A) They didn't get the same dress, but B) The dresses complemented each other, and Theresa you did it beautifully! 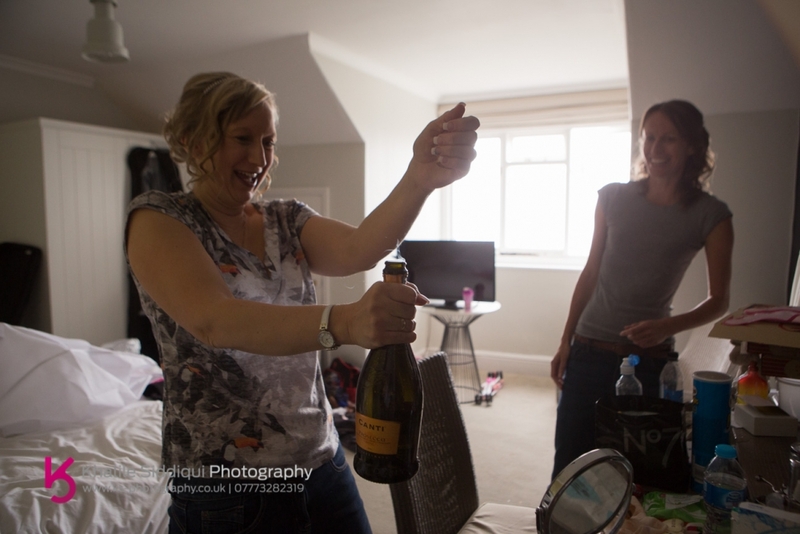 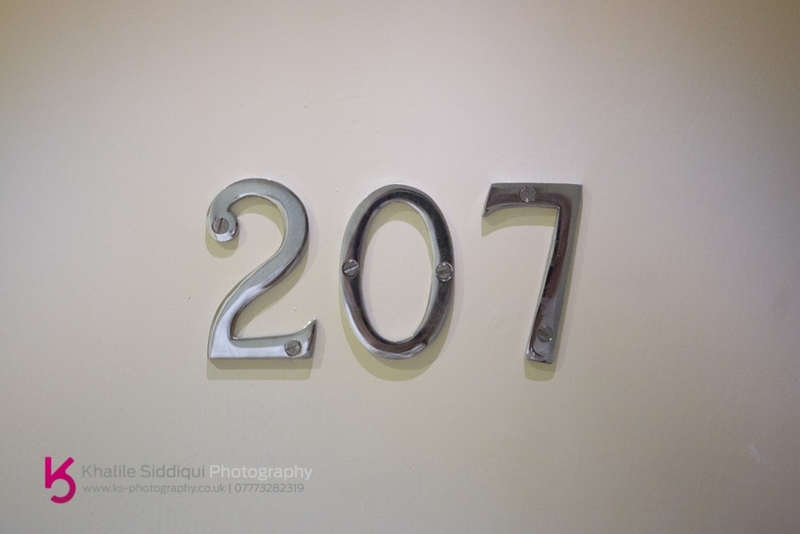 For the sake of continuity I've shuffled the photos from the two rooms into two groups, and so here's Pamela's rooms antics. 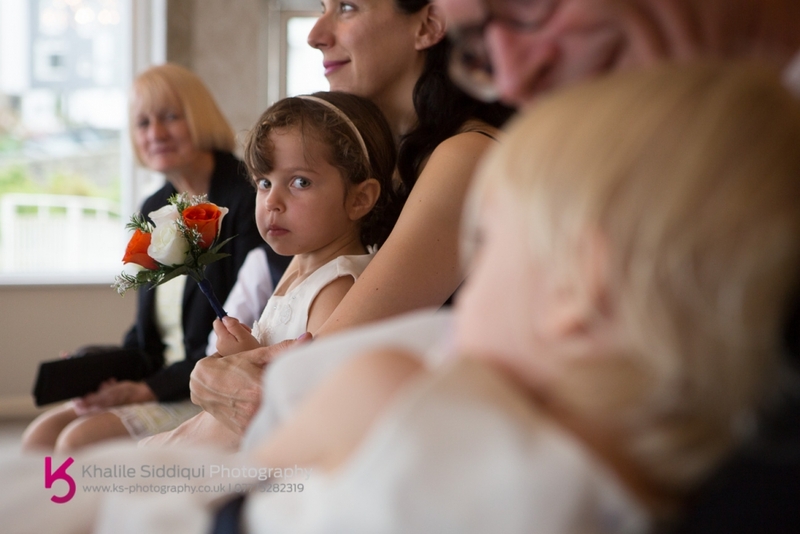 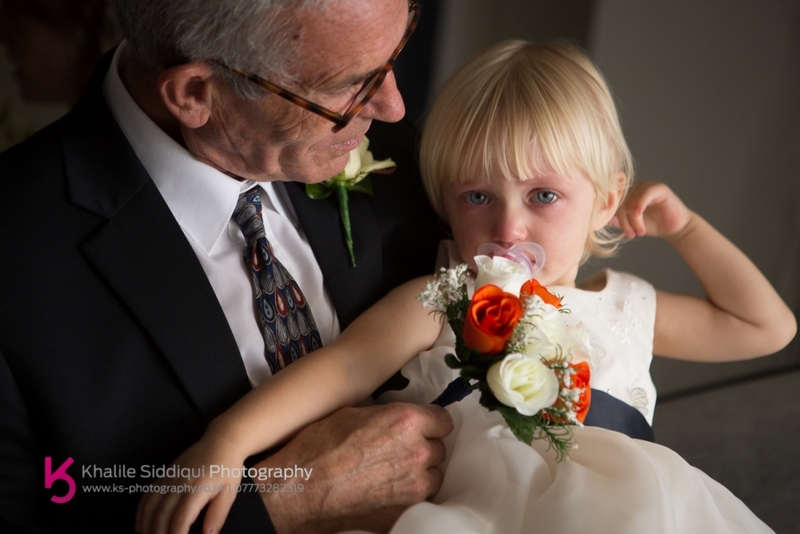 Bless her one of the flower girls wasn't feeling too clever, but after a dose of Calpol and a cuddle from Grandad she put a brave face on. 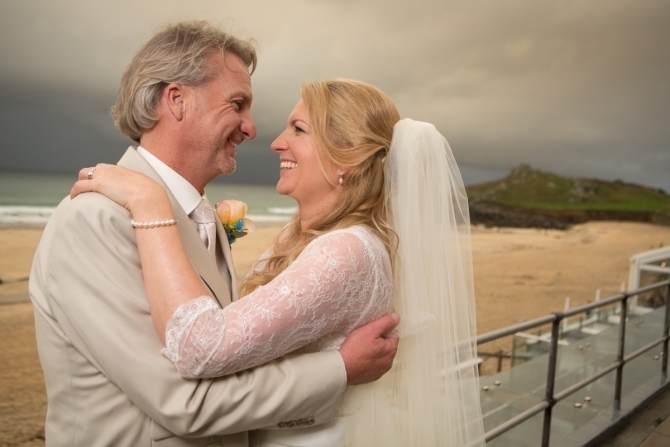 After a ceremony full of spirit and laughter we headed outside despite the bouts of drizzle and even managed to get down the beach before the forecast heavy rain hit. 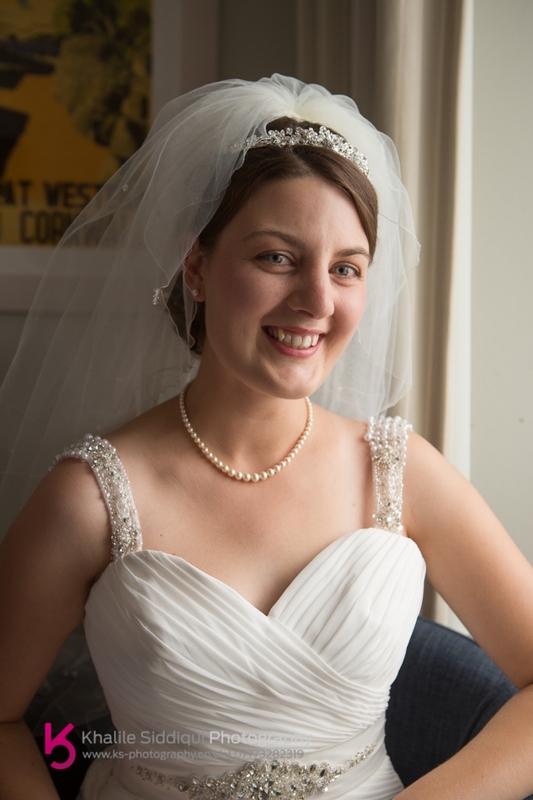 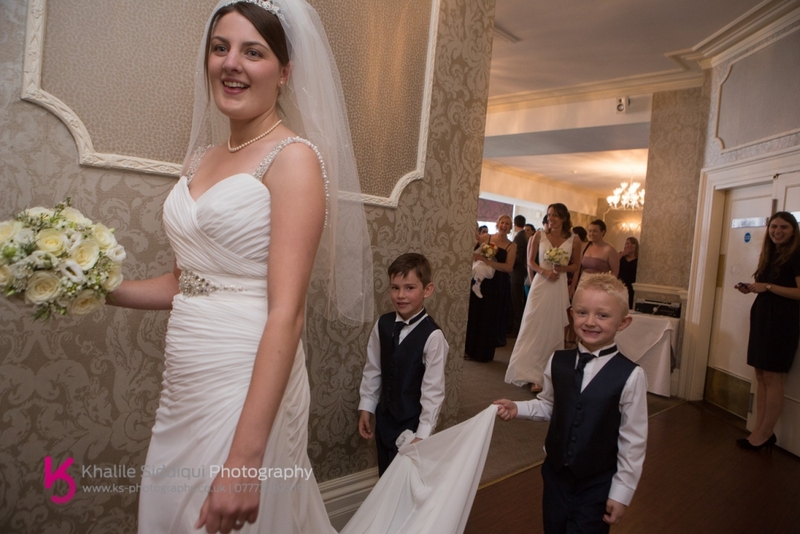 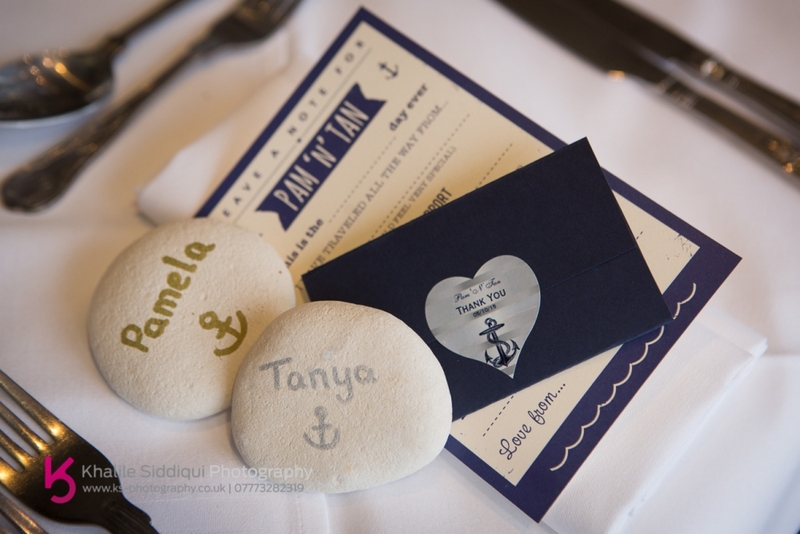 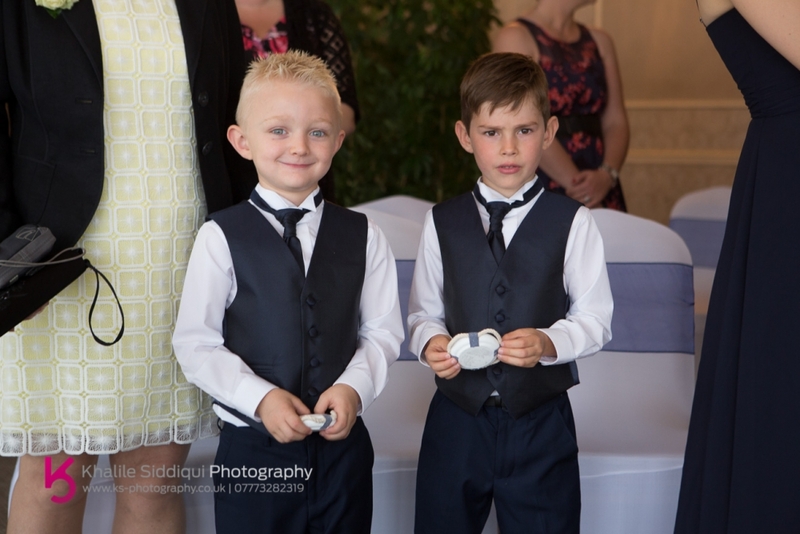 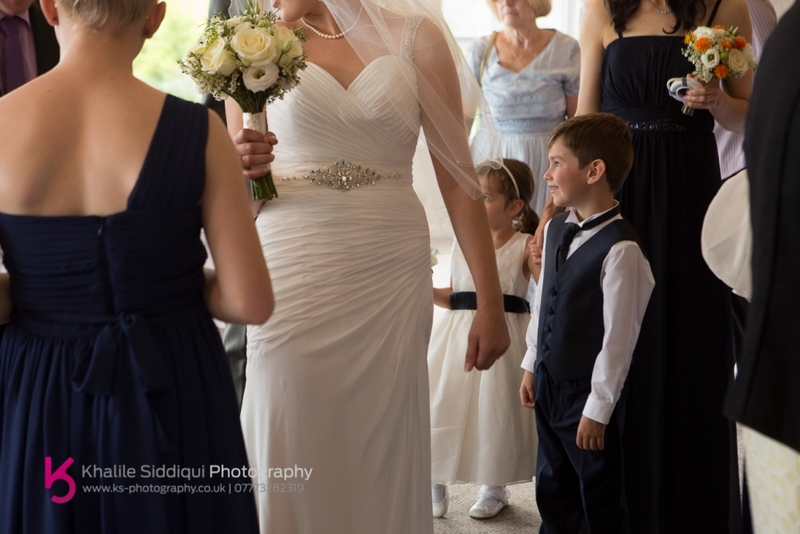 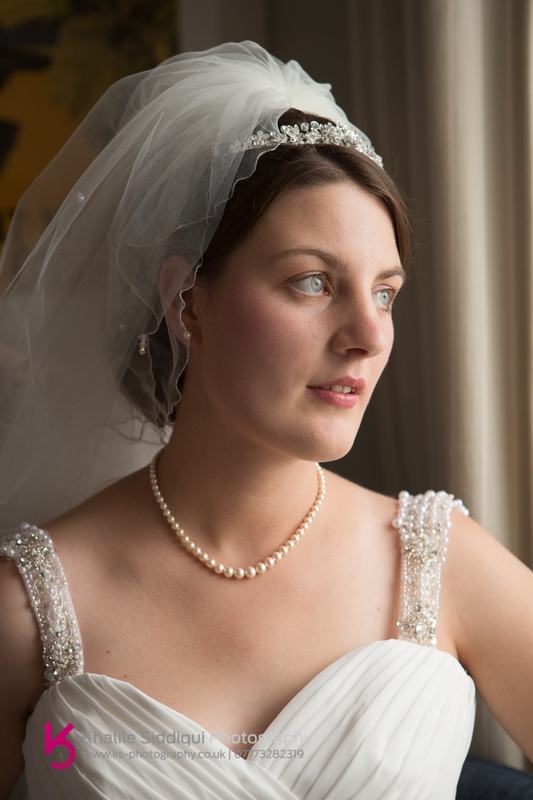 Dearest Pamela and Tanya, thank you so much for letting be be involved with your very special day, it was a real treat and I hope you can relive the day for many years to come through these photos!